Our wide selection of marine fish, and invertebrates will enable you to build a spectacular reef tank in your home or office. Our friendly staff members have a passion for fishkeeping and will share their experience and inspire you. We have one of the widest selections of aquariums, equipment and fish keeping products in South Africa. Our dedicated staff will help you with tanks and equipment to suit your every need. We have over one hundred and fifty three foot tanks, also over twenty, four foot tanks, three, two meter tanks and an arch tank, show casing imported fish from around the world. We have staff with over fifteen years of experience, running our fish room, ready to help and assist any of our valued customers. We provide maintenance and clean up services, we also do deliveries and installations on request for our clients. Our team is permanently on standby to offer help to our valued clients. Delivery on the Eastrand and certain areas is not a problem! We are your one stop shop for all your planted tank needs and requirments. We stock everything from CO2 systems,LED lights, substrate,tweerzers , flourish , flourish excel , iron and anything in between. Wazeer's Aquariums is one of the largest retailers of the Hikari fish food brand, promising our clients quality products and services satisfying their every need. If you require a specific food and we don't have it we will order it for you specically. WAZEER'S AQUARIUMS is one of the largest Seachem retailers in South Africa stocking every product to satisfy your every aquarium need. Wazeer's Aquariums prides it's self with providing the largest variety of exotic fish both tropical and marine. We ensure that we always have the best stock and of the highest quality. We specialise in exotic and rare species as we are a proper hobbyists shop for those that know what they want. Our goal is to strive for excellence. We provide an unparalleled and largest selection of healthy tropical and marine fish guaranteed. Specialising in fish and anything related to fish. We stock all the necessary equipments, treatments, lights, gravel, substrate and fish foods(frozen and dry). 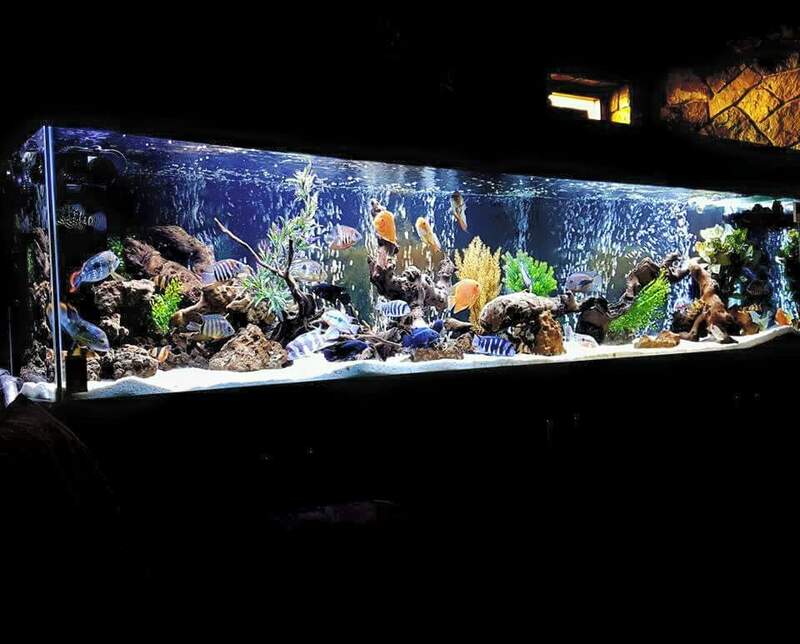 Wazeer's Aquariums is one of the largest fish retailers in South Africa, setting trends in the industry and leading by example. We ensure quality customer service and understand that customers matter. We import quality ornamental tropical and marine fish from around the globe on a regular basis (Singapore, China, Indonesia, shanghai and Malaysia to name a few). No challenge too big or too small for us.Come in store and let us make your dreams a reality because we know how to with over 20 years experience in the industry and expanding exponentially. We are your one stop shop for all your fish and fish tank needs and requirements. 18 April 2019 - Tropical Fish, Marine Fish and Plants have arrived. Come in store today for some of the best stock in Gauteng guaranteed. Please note - while stocks last - so get there quickly. No challenge too big or too small.We build custom tanks to suit our clients specfic needs and requirments.Help us to help you make that dream tank a reality because we dream in colour and not just in black and white.Custom tanks is what we specialise in. It is what we love to do. It is what makes us unique. We specialise in fish and anything related to fish, both tropical and marine, guaranteeing our customers the largest variety of aquatic species.